102 years ago on the 28th March 1917 the lightship Guillemot was sunk off the Wexford coast by a German U-boat. It’s March 28th 1917, the height of the first world war and a time before advanced navigation technologies like radar. You are captain of the lightship Guillemot stationed five miles off the coast of Wexford providing a vital service to fishermen and sailors in the dark of night, warning them of the dangers of the nearby shifting sands of the Arklow Bank. And you’re about to make the biggest decision of your life. You discover there’s a German U-boat positioned behind your ship, using it as cover and picking off unsuspecting vessels venturing out from Arklow bay. As a lightship you’re officially neutral but you’ve already seen four boats ruthlessly dispatched to the bottom of the sea by the clever tactics of the German U-boat. You see another boat emerge from the Arklow harbour, it’s the Irish boat Harvest Home, you see it near your ship, they don’t stand a chance. What do you do? This was the predicament faced by Captain Rossiter and his crew of the lightship Guillemot in 1917. They had a decision to make; maintain their standing order of neutrality or signal the approaching ship in an attempt to alert it to the presence of the U-boat. On board the U-boat UC-65 was Captain Otto Steinbrinck, a wily and experienced commander who’d had considerable success in the Irish Channel during 1917 laying sea mines and sinking ships. In the Arklow bank area he had sank the armed British steamer Snowden Range, the Russian sailing vessel Laima, and the English Ardglass and Norwegian steamer Dagali. Nestled behind the lightship Guillemot made for easy pickings for the U-boat. And so Captain Rossiter and the crew made their choice, one of conscience and broke the standing order to remain neutral. They attempted to signal the oncoming boats. Unfortunately for them the loitering U-boat got wind of the attempted warning and wasn’t pleased. Steinbrinck wasn’t going to let them spoil his efforts again and sank the Guillemot. 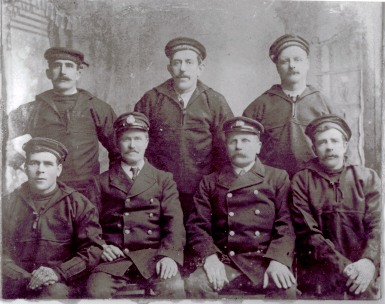 But in an act of civility that may sound foreign to ears attuned to the harshness of modern warfare, the German captain allowed Captain Rossiter and the crew to disembark before the Lightship was sunk. The Harvest Home was eventually sunk by the U-boat. The Guillemot crew returned safely to shore. In keeping with the strangeness of war-time, Captain Rossiter was subsequently rewarded with a medal for his bravely but reprimanded for disobeying orders. 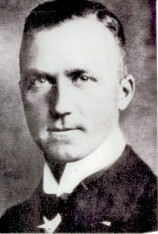 Captain Steinbrinck would go on to sink a total of 216 boats during the war.